Increase speed and comfort of your work with sophisticated ORM editor. Import, edit and export definitions just by a few clicks. 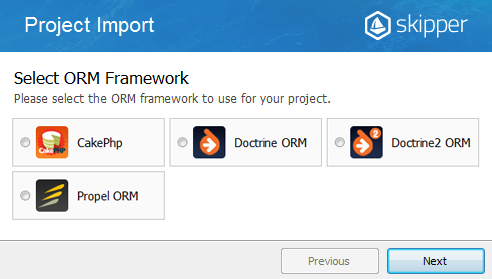 Import your current, older or unknown project and get a complex overview about all its objects and logic. Or create new model from scratch. Change your model and repeat the export as many times as you need. Ready-to-use definitions generated by one click help you to make it simply and quickly. Project model is transferred to the definition files through well designed templates compliant to all frameworks standards and rules. Supported export formats are XML, YML and Annotations. 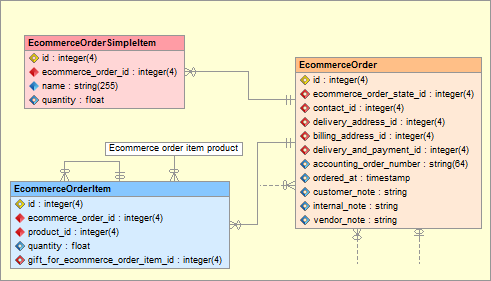 ORM schema is displayed in the visual model using enhanced ER diagram. Skipper is full feature visual editor for projects using object relational mapping. Unlike other ORM tools Skipper combines its visual model with editing capabilities and code generation. Download 14-day trial version. No credit card needed. Smart wizards, value completors, validators and assistants help you create 100% valid definition files. Now you can stop remembering the whole ORM syntax and keywords. Create new object and with next export it will be added where it belongs. Remove it and it will be deleted from everywhere. Increase your productivity by using keyboard shortcuts for all types of actions. Share modules among more projects. Changes in one are transferred to the others. Define and run third party tools directly from the application and save your time. Use context menu in Project tree and localize chosen object. Or view desired area by clicking to the specific point in Navigator window. Create and edit objects and their properties through smart and intuitive editors and dialogs. Use the pre-defined color palettes and make your model nice and easy for orientation. Set the grid according to your preferences and align objects in your model as you need. Define your own templates or use the most common and useful templates from prepared library. Predefine naming conventions, attributes or values and save a lot of work. Extend your schema definitions with custom properties. 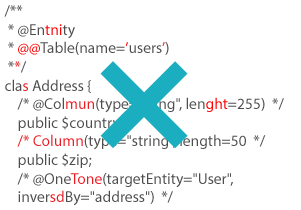 Customize existing or define new properties and behaviors, override enum values or types, adjust other settings. You can extend export scripts so they generate another formats or output that you need. Export customization also allows you to utilize and run other external tools. Do you prefer to work with application in your native language? You can add your translation and if you want to, you can share it with the community as others do. Try Skipper for free version. No credit card needed. Regular updates bring new features and enhancements based on requests of users. In detailed documentation you find everything from very basics up to the expert knowledge. Write us any questions or ideas on our support forum or send us email. We are here for you. Skipper is a stable and easy to use schema designing tool! No documentation, just design and everything is documented! It saved us a lot of time designing and configuring complex data models. It is impressive to see what this software achieves on its own. Skipper is especially helpful in the initial data modeling phase. Exporting the data model and scaffolding makes it really easy to get a first prototype up and running in a matter of minutes. It is faster and gives less errors to have Skipper create the mapping code instead of writing it myself. Later in the development process I often use the Skipper diagram as a quick reference. We use Skipper on our daily basis for ecommerce software development. It lets us visualize at a glance the data models and work on them in a simple and easy way. Simply put, for us, Skipper is not just a tool to master, but a mastermind that teaches us the best programming practices. It simplifies our work because it saves us time. With features added over time like adding behaviors to Propel in Skipper it has become an unmissable tool in our organisation. We have good use of the tool. It simplifies our daily work, saves us time and is simple and intuitive to use.